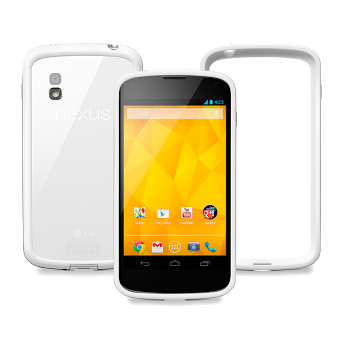 If you've been waiting to get your hands on the white Nexus 4, wait no longer (if you're in the US, that is) - it's on the Play Store right now, and it comes with a free matching white bumper case. Both 8GB and 16GB models are available, with the same pricing as the black version. 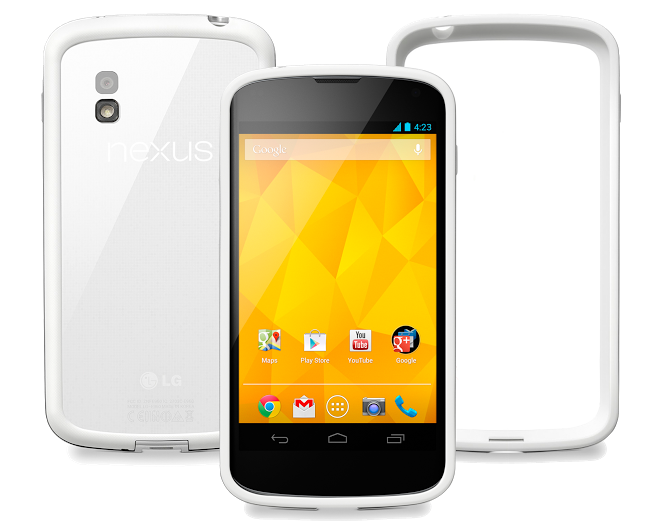 Black models of the Nexus 4 are also now shipping with free bumper cases for a 'limited time,' so if you were on the fence about an N4, now's probably the time to buy. Hit up the links below to check it out. If you're looking for the Nexus 4 in black with a free bumper, navigate to it from the links to the white ones below - the Play Store is still caching the old product page for the black ones if you navigate there manually. You can also get the 16GB white Nexus 4 on T-Mobile's website for $427.99 (try link in Chrome incognito if it doesn't work for you), if you're feeling like making a bad decision today.